Bad dental habits can cause major dental damage and serious oral health problems. Restorative dentistry treatments can help repair the damage caused by bad dental habits. You can take steps to avoid dental damage and oral health problems by practicing proper oral hygiene and avoiding bad dental habits. Our Wilmington dentists at Smile Solutions by Emmi Dental Associates offer dental care tips so you can enjoy a happy, healthy smile. Avoiding bad dental habits begins with establishing a good oral hygiene routine. Most people understand that proper oral hygiene includes brushing twice a day and flossing at least once a day. However, many are unaware that the way we brush or floss can make our efforts more or less effective. These tips will explain which habits to avoid and how to properly care for your smile. Poor brushing habits: Many people have developed poor brushing habits and are not even aware of it. Some bad brushing habits include failing to brush twice a day, brushing too fast, using too much pressure, and not thoroughly brushing each tooth. In order to properly brush the teeth, you should brush at least twice a day for a full two minutes each time you brush. Also, be sure to use small strokes and hold the brush at a 45-degree angle. Using the wrong toothbrush: Using the wrong toothbrush is another bad habit to avoid. Your toothbrush bristles may be too soft or too hard, the toothbrush head may be too large, or the toothbrush may be too old. Toothbrushes should be replaced every three months to ensure optimum effectiveness. When choosing a toothbrush, look for a brush that fits comfortably in your mouth and allows you to easily reach the back teeth. Choose bristles that are not too hard – you don’t want them to irritate your gums or teeth. Brushing too aggressively: It may seem like the harder you brush, the cleaner your mouth will be. However, aggressive, forceful brushing can actually wear away dental enamel. When brushing, avoid using heavy pressure or an overly hard-bristled toothbrush; these can wear down the enamel, leaving the teeth vulnerable to decay. If you use a lot of pressure while brushing, consider using to a soft-bristled toothbrush to reduce damage. Poor flossing habits: Some poor flossing habits include not flossing at all, skipping the back teeth, and not flossing along each side of each tooth. Flossing should be done at least once a day, every day. 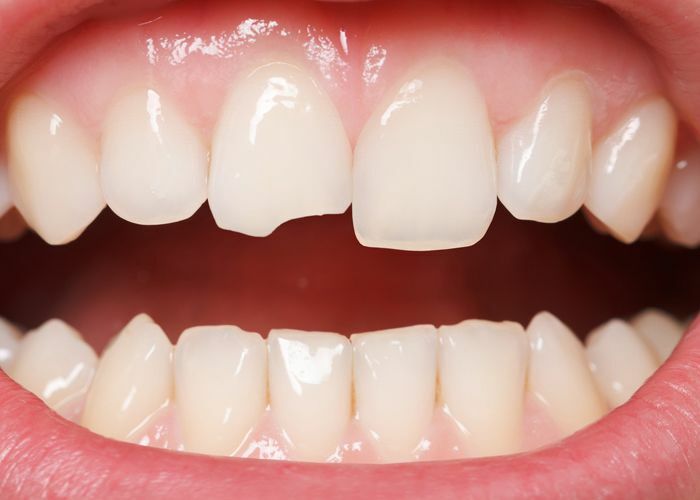 Proper technique includes bringing the floss up and down along each side of each tooth and as far along the gum line as possible. Proper flossing helps reduce the risk of gum disease and tooth decay between the teeth and at the gum line. Not seeing your dentist for regular exams and cleanings: Skipping dental exams and cleanings can allow oral health issues to go undetected for many years, which may lead to major dental issues. Seeing your dentist for regular check-ups and cleanings every six months can keep your smile beautiful and healthy. Schedule a consultation with our team today for your personalized treatment plan.